Wow- what a cool project. Just a little inspiration for your penultimate day of work! The possibilities are endless- take the photo essay to a new level by recording a script over it. Have your students go to local landmarks, take photos and record their reactions. Have your students use this for explainer videos. What else? The apps in this article are all free and should work on the iPad though they look like they are made for phones. Just remember when on the app store to change the “iPad only” tab to “iPhone only”. 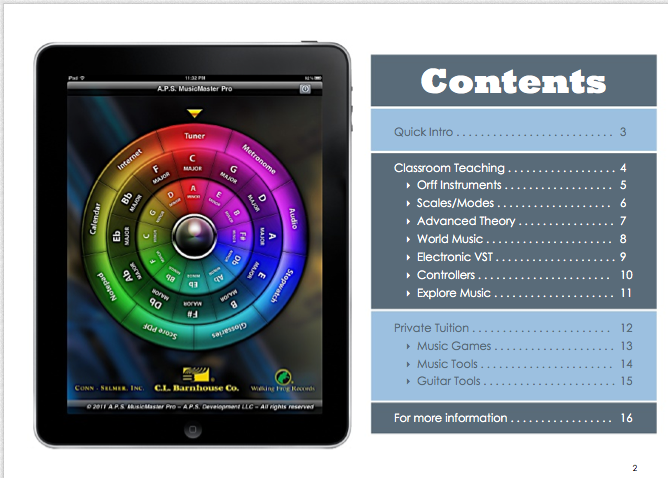 This year our Music teacher began using Smartmusic with her Grade seven beginning students. 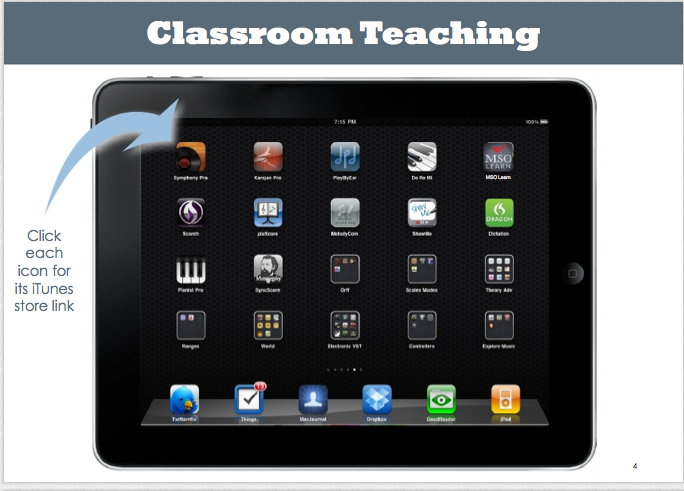 Though she was very happy with the program, the major problem was that it did not work on the iPad for the students. And this year’s Grade seven class was our first class to require an iPad. You can see the problem here can’t you? 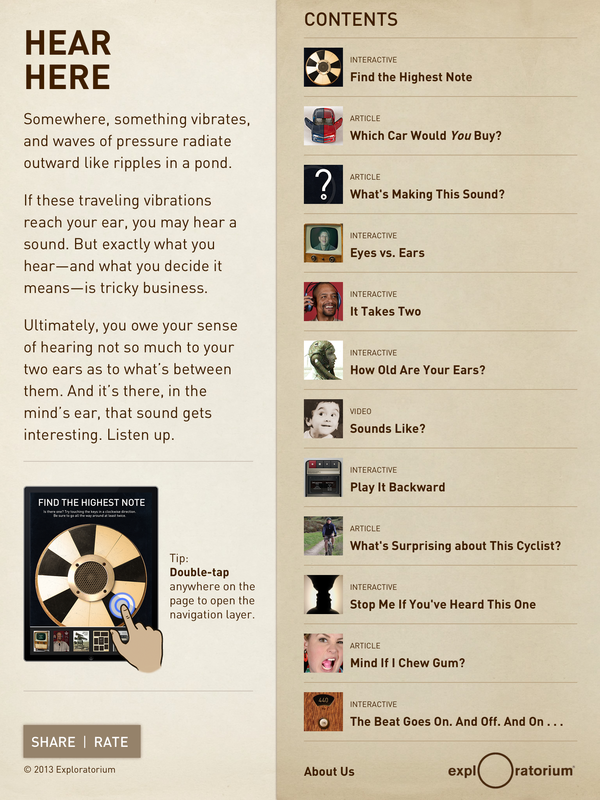 This first version of SmartMusic for the iPad is intentionally incomplete. The company wanted to get a version out the door this spring and they will be adding functionality to the program in the next months. At the current time, if you have a SmartMusic subscription and use the iPad app, you will have access to all of the modern literature (exercises/songs that show printed music on screen), but not the legacy literature (songs that were accompaniment only). 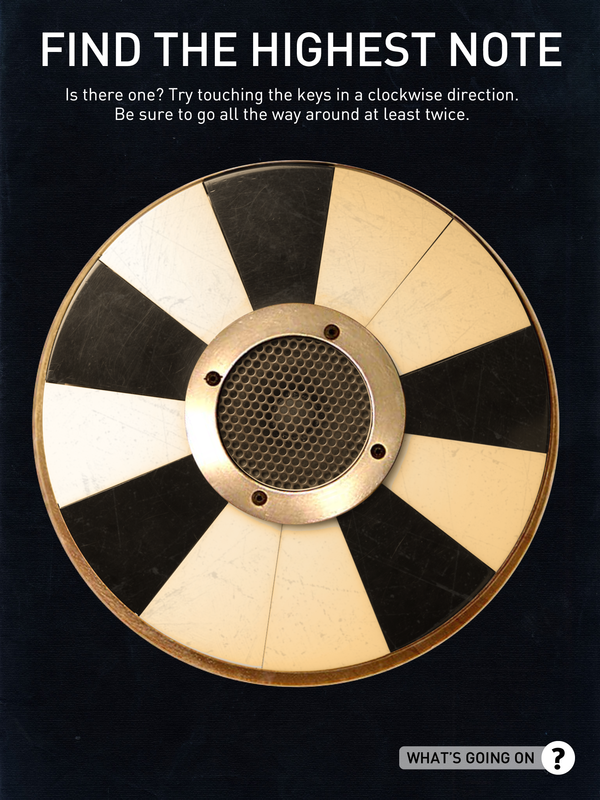 Just as on a computer, the SmartMusic app will listen to you as you play and sing, giving you immediate feedback on your performance (a score and visual representation of how you played in green and red notes) and allow you to hear how you played. 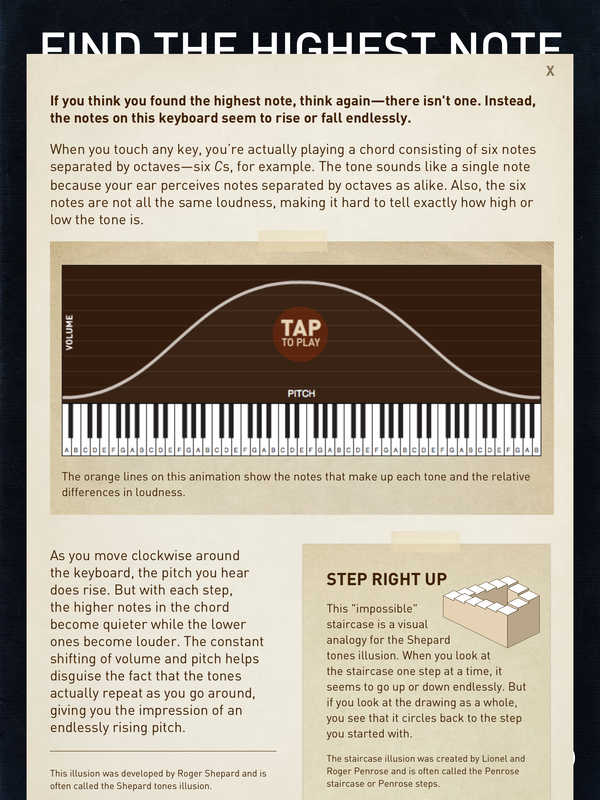 You can also change the tempo and practice a certain area of your music. The iPad app also tracks the scores of your best three performance (this is more important that it seems…please see my next article on the use of the iPad app in choir to understand why). 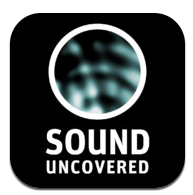 Attention all science and music teachers (and other scientifically curious individuals: You have to check Sound Uncovered out! I was scanning the email from the itunes app store to see if there was anything new and interesting and I cam across this app created by the San Francisco Exploratorium (and if winter is not enough to make you want to go to the west coast right now, this interactive museum of science and art would be enough to get you to browse airline tickets). I learned two new things in the couple of minutes I spent browsing and playing around with their well-designed activities. Easy- to use, uncluttered interface, accessible explanations and fun interactive exercises, this is an amazing app with a lot of potential for some fun in-class exercises! Music teachers? Multimedia teachers? What do you think?